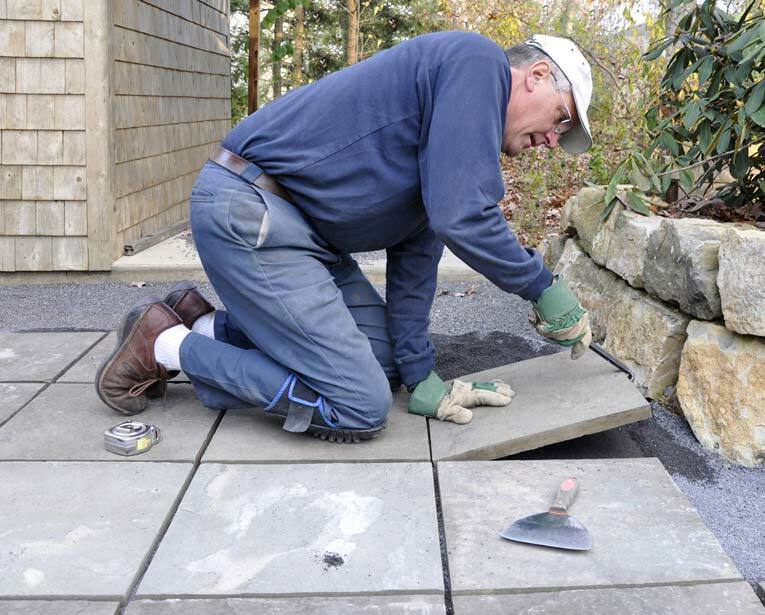 Concrete pavers, laid in a base of fine gravel or sand, provide a flat, elegant patio surface. Most people assume that any paving product that looks like brick is, in fact, brick. Not so. Paving brick is made of clay, the traditional source material of brick manufacturers. 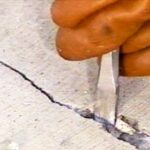 Concrete pavers, which may appear similar to their clay counterpart on the shelf, are actually very different. 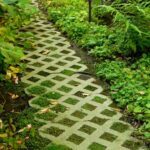 Concrete pavers set in a lawn provide a flat, visually soft outdoor surface that you can actually drive onto in a pinch. 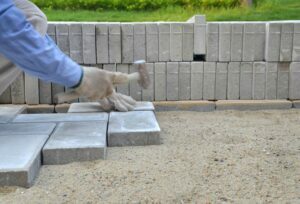 Rectangular concrete pavers offer a brick-like appearance. Here they are being leveled in a bed of sand. 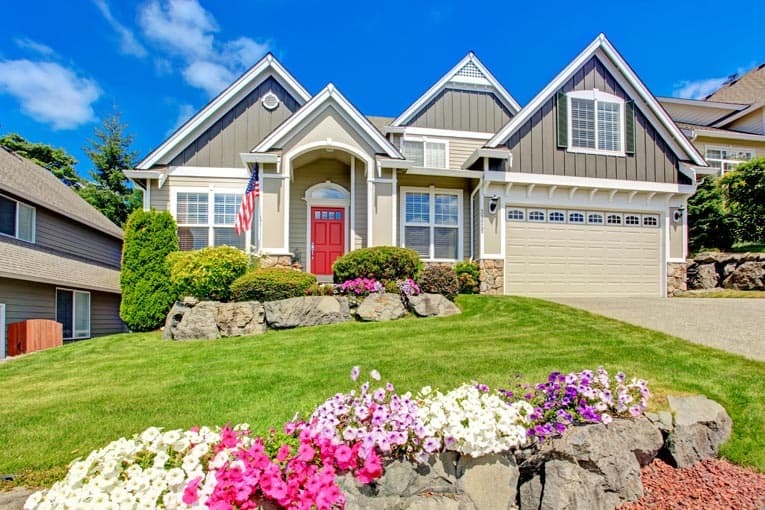 Like modern, extruded brick pavers, concrete pavers are manufactured with highly accurate dimensions and are typically available at large home improvement retailers. 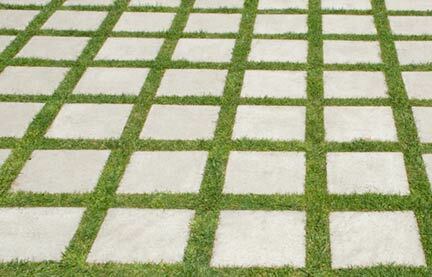 Interlocking concrete pavers form a contiguous surface that resists separations and offers visual interest. 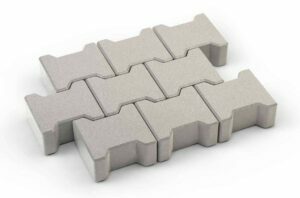 Mortarless interlocking pavers are available in a variety of colors, shapes and sizes. Machine-made, they offer high-strength paving solutions for driveways, walkways, and patio floors. 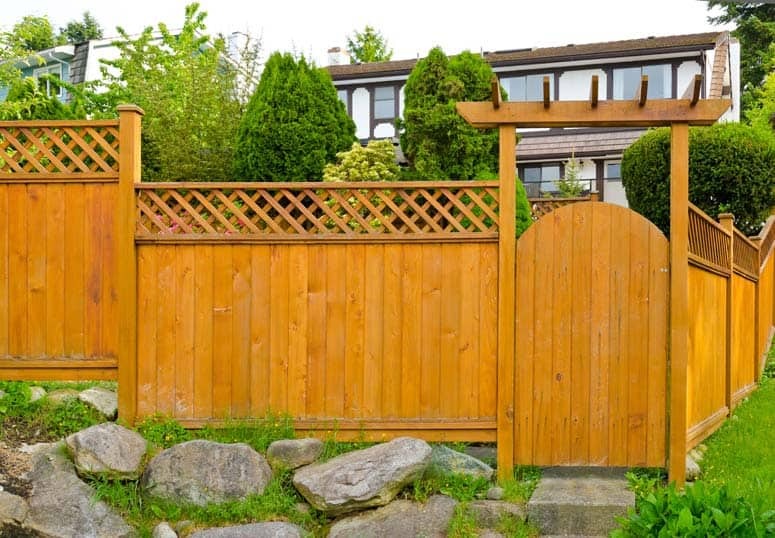 Assembled without mortar, they are typically installed in a shallow bed of sand, and, to create a solid interlock, sand is vibrated between the paver joints. 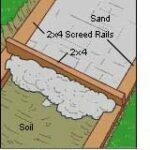 Material prices of pavers tend to run from about $1 to $2 per square foot.